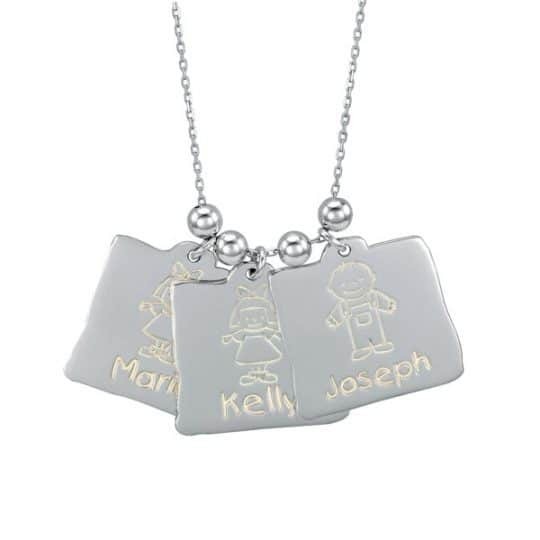 Symbols of faith and family are featured in a setting of Sterling Silver. 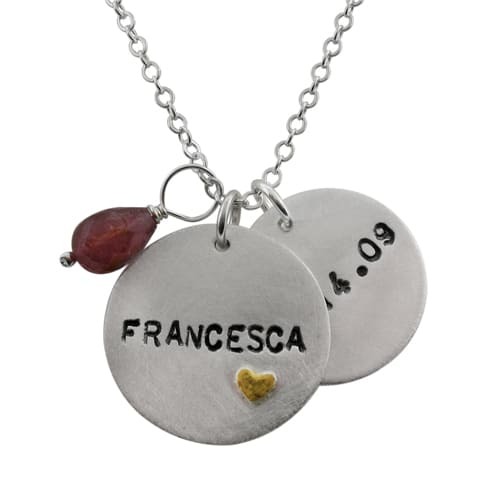 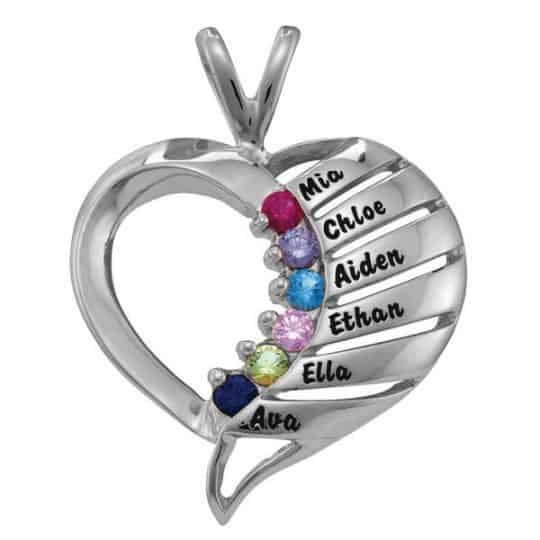 Polished open heart pendant is personalized with the birthstones of cherished family members. 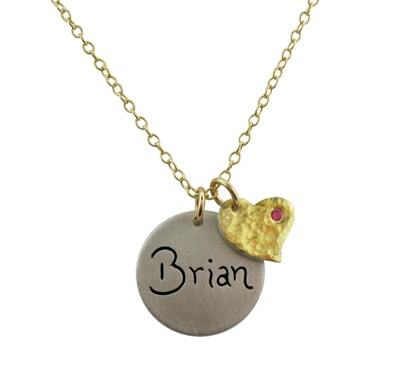 Little goldtone footprints adorn the side and a golden cross dangles from the center.